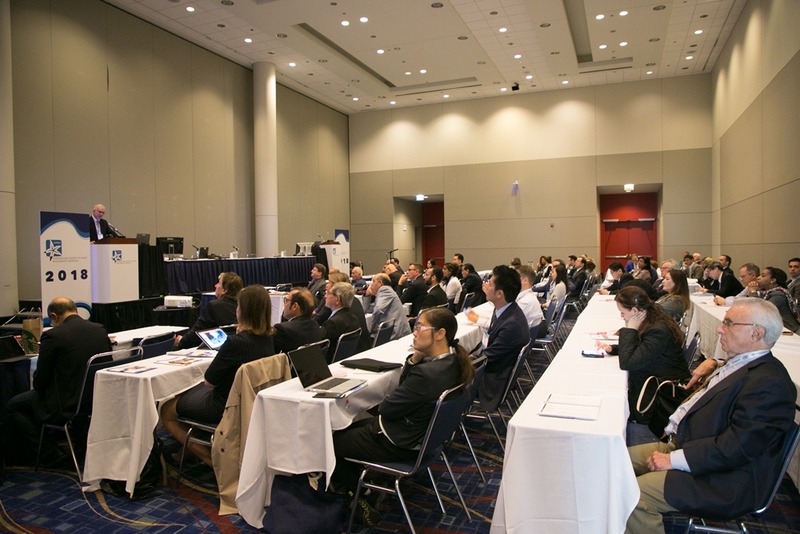 The 7th International Society of Regenerative Plastic Surgeons (ISPRES) Congress was held in Chicago on Sept. 30 and Oct. 1. The Congress was held in conjunction with the American Society of Plastic Surgeon's annual conference, Plastic Surgery the Meeting. Over 100 plastic surgeons came together to attend the Congress to disseminate and share in the collective wealth of knowledge provided to plastic surgeons with an interest in the field of regenerative medicine. The ISPRES Congress is a scientific forum related to the clinical application of fat grafting and adipose-derived stem cells. Several world-renowned surgeons presented over the two-day meeting and focused on the growing popularity of regenerative plastic surgery. Countries represented included Brazil, France, Japan, the United States and Italy. Day one's morning session kicked off with the panel "Complications in Regenerative Surgery: Focus on Gluteal Augmentation Complications in Other Areas." The panel included Alexandra Conde-Green, MD, J. Peter Rubin, MD, Roger Khouri, MD, Gino Rigotti, MD, and Sydney Coleman, MD. The panel encompassed the gluteal fat grafting procedure, techniques, complications and methods to improve patient safety outcomes. As part of this panel, Dr. Rubin provided an update from the Multi-Society Gluteal Augmentation Task Force. ISPRES President Dr. Coleman shared the complicated history behind fat grafting and its rebirth into mainstream plastic surgery practice in his keynote address "A History of Fat Grafting." ISPRES and IFATS held a collaborative panel in "Looking Forward in Clinical Applications and Research in Regenerative Plastic Surgery." ISPRES President-Elect Kotaro Yoshimura, MD, moderated the discussion including speakers, Adam Katz, MD, Guy Magalon, MD, Lauren Kokai MD, and Ricardo Rodriguez, MD. Surgeons from around the globe presented 15 abstracts and shared their findings related to the evolving research tied to regenerative medicine. Lee Pu, MD, and Stefania DeFazio, MD, moderated the paper sessions. Three of the oral presentations were selected from an exclusive number of papers submitted for the 2nd Annual ISPRES/ICOPLAST Young Plastic Surgeon Award. Andrea Vittorio Emanuele Lisa, MD, (Italy) placed first, followed by Or Friedman, MD, (Israel), and Mauro Barone, MD, (Italy) placed third. Dr. Lisa presented the paper "Evaluation of the Ex-Vivo Effect of Tamoxifen on Adipose Derive Stem Cells: A Pilot Study." This global award is open to plastic surgeons under 35. Day two of the ISPRES Congress included panels "How is Fat Grafting Changing My Approach to Address Different and Challenging Areas of Reconstruction?" and "Advances in Regenerative Technologies." Paolo Persichetti, MD, moderated the first panel, which provided multiple ways fat grafting is revolutionizing plastic surgery solutions. Leading experts on this panel included Roger Khouri, MD, Jeffrey Guesenoff, MD, Pietro Gentile, MD, and Nelson Piccolo, MD. Abstract paper presentations moderated by Guy Magalon, MD, rounded out the number of papers presented over the course of the two-day meeting. Students with a desire to further plastic surgery treatments represented universities from all over the globe. During the afternoon sessions, Gregory R.D Evans, MD, led the panel "Advances in Regenerative Surgery: Now and Tomorrow – Lessons from the Masters." Paul Cederna, MD, W.P. Andrew Lee, MD, and Mike Neumeister, MD, shared their insights on newer regenerative medicine approaches and where they could lead during the panel discussion. "Advances in Regenerative Technologies" featuring speakers Dennis Orgill, MD, and Kotaro Yoshimura, MD, provided an outlook on the future of technologies based on the tools doctors are using today. The scientific meeting concluded with a video panel moderated by Dr. Nelson Piccolo, which featured exclusive topics shared by Dr. Khouri, Massimiliano Brambilla, MD, Dr. Coleman, and Dr. Yoshimura. Plans for the next ISPRES Congress are already underway, and a location and date for the 8th ISPRES Annual Congress will be announced in the coming weeks! Stay tuned for more information.